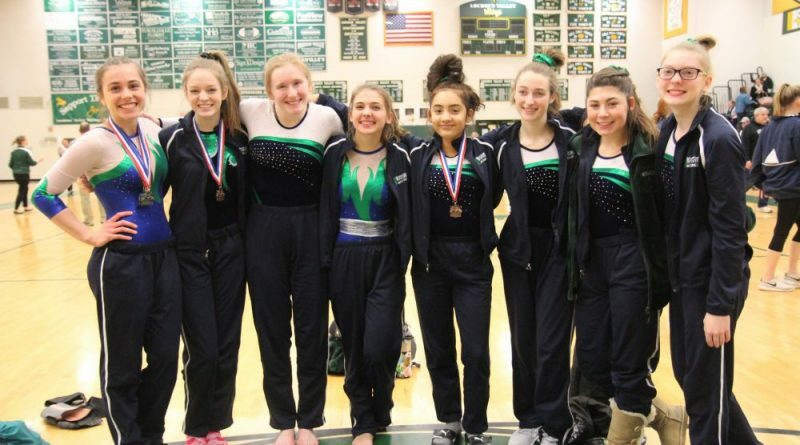 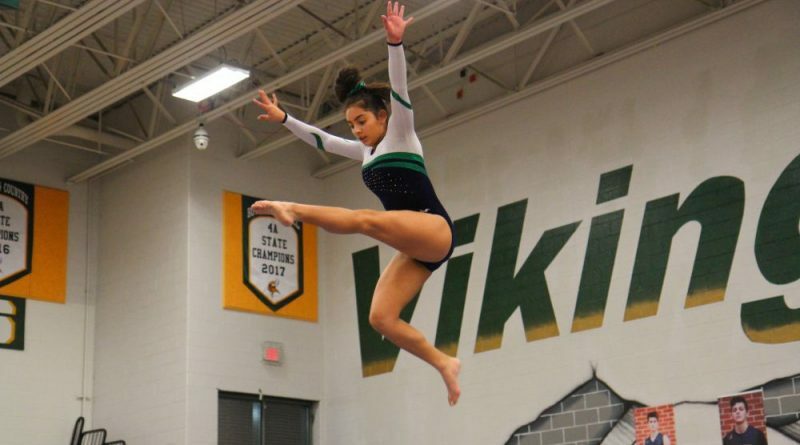 The Woodgrove Varsity Gymnastics team advanced to regional competition by outperforming teams from Riverside, County, Heritage and Dominion and placing within 1.5 points of the gymnasts from Loudoun Valley, who took first place as a team in the Dulles District competition Thursday night. 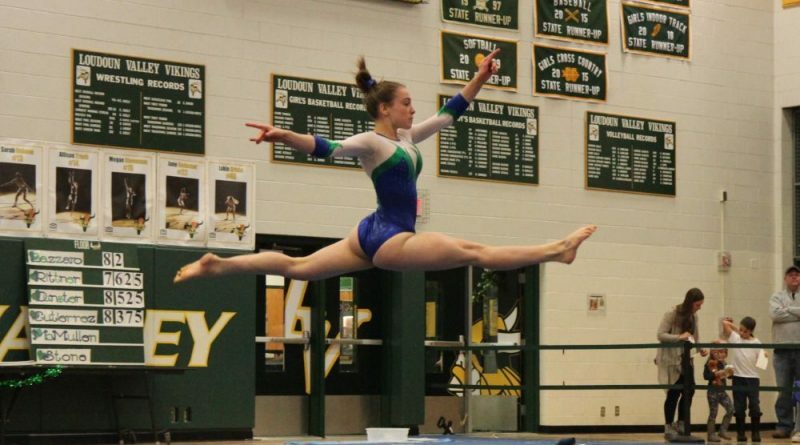 Woodgrove will face Valley, Broadway and Great Bridge in Regional competition on Friday, Feb. 8, this time on our home mats. 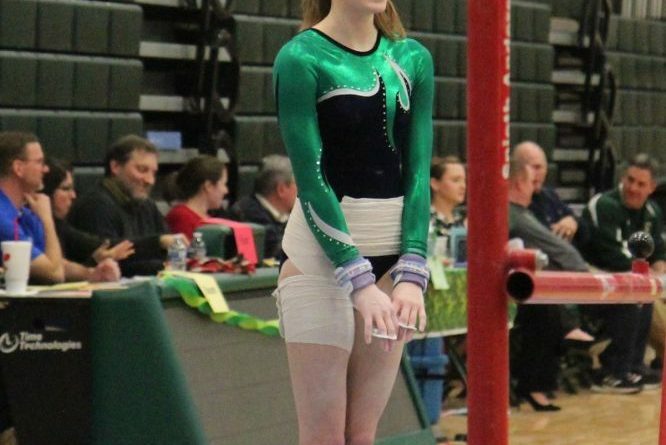 Start time for the meet is tentatively 7 p.m.
Senior River Stone will also be competing as an individual in the all-around competition, as well as in each event, having placed 2nd all-around with 2nd on vault, 2nd on bars, 3rd on beam and 1st on floor at Districts. 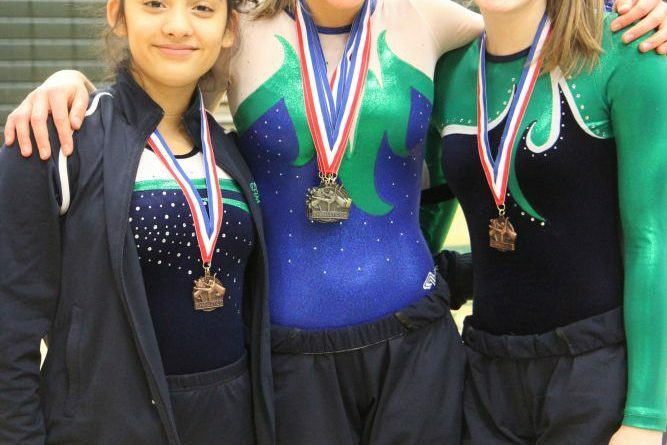 Junior Jodi Snare will compete individual bars and freshman Angela Gutierrez will compete on beam.